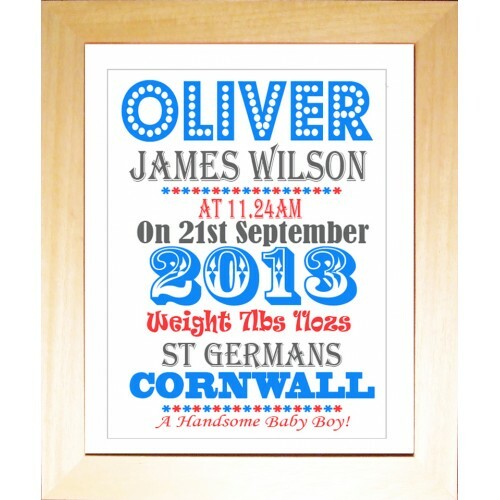 These great value framed, personalised, baby birth details prints are a lovely, original keepsake for any new baby, a really perfect new baby gift or baby keepsake that makes a really bold statement, simply give us all your baby birth details for us to create your personalised baby prints for you. 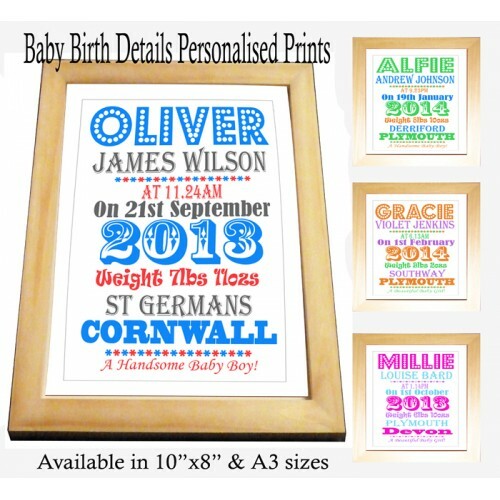 These baby prints are printed with high quality, acid-free inks and printed on quality, archival paper to ensure that your precious memories won't fade away, these prints are produced to last. 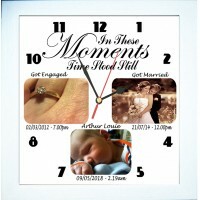 The luxury frame is a 10"x8" (254mm x 204mm) size, it is made of solid, natural pine and it includes a high quality white mount to finish off your personalised print perfectly. 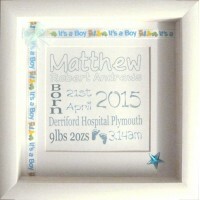 You give us all the details that you want printed in the choice of vibrant colours we offer and these charming, personalised birth details keepsakes are then produced especially for you and with a choice of bright, vibrant colours to choose from, you will not be disappointed with this luxury baby keepsake. 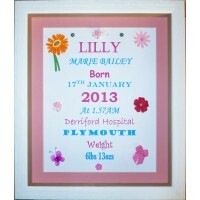 Simply fill in all the details in the boxes that you wish to be added to your keepsake (make sure you check there are no errors in your spellings and include any capital letters you wish to be included, we will print it as you request, so please ensure it is correct) and we will transfer them into your personalised name frame, high quality print. 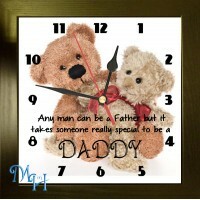 As these items are made up to order, please allow up to 7 working days for your print to be produced for you (although we are normally much quicker than this), these items make a perfect new baby gift that will be treasured by new parents and the vibrant colours will certainly not disappoint any recipient of this really beautiful baby gift. 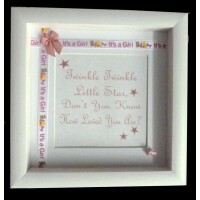 A beautiful Hand decorated, embellished framed name and birth details in blue or pink, this is a chu..
A gorgeous solid wood memory keepsake box with oak effect varnish to keep all your precious baby kee..
A stunning hand decorated, Pink embellished framed name and birth details print, this is a chunky, s..
A stunning hand decorated, embellished Twinkle Twinkle print, this is a chunky, solid wood, white fr..
A stunning hand decorated, embellished PINK Twinkle Twinkle print, this is a chunky, ..
A stunning pink hand decorated, 3d stork embellished name and birth details print frame, this is a c..
A stunning hand decorated, 3d pink teddy embellished name and birth details print frame, this is a c..
A stunning hand decorated, 3d blue teddy embellished name and birth details print frame, this is a c.. 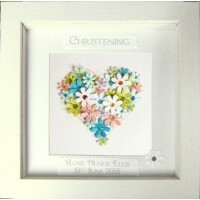 This stunning hand decorated daisy heart can be made into a keepsake for so many different occasions.. 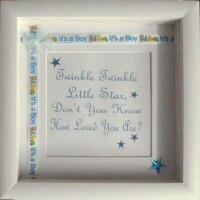 Wooden Toy Box- Pine with Oak Effect Varnish or white with dark oak lid, a gorgeous pine toy box wit.. 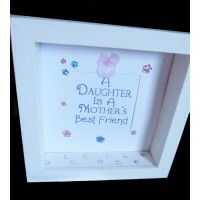 This stunning The Only Thing Better frame keepsake is a chunky, solid wood, white frame, it has an 8.. 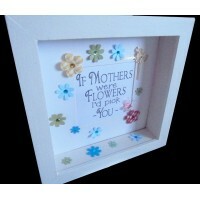 This stunning If Mothers were Flowers frame keepsake is a chunky, solid wood, white frame, it has an.. 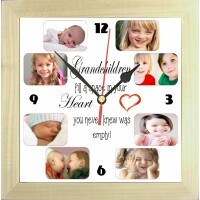 This Mother's Day Photo Clock with a flower heart makes a perfect keepsake or gift for a special Mum.. 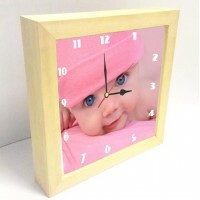 This Mother's Day Photo Clock with roses makes a perfect keepsake or gift for a special Mum. 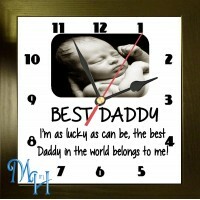 The ro..
Any man can be a father but it takes someone really special to be a Daddy Photo Clock makes a perfec..
As Lucky As Can Be Photo Clock makes a perfect keepsake or gif for any Daddy, Dad, step-Dad or Grand.. 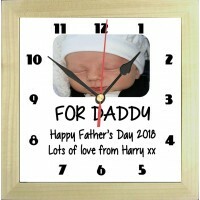 This Happy Father's Day Photo Clock makes a perfect, personalised keepsake or gift for any Daddy, Da..
A Personalised Photo Clock makes a perfect keepsake or gift for any occasion, we can use any favouri..
A pet Personalised Photo Clock makes a perfect keepsake for any pet owner, we can use any favourite .. 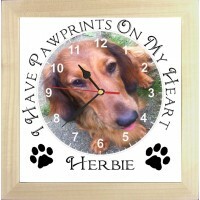 This gorgeous personalised In these Moments photo clock is made especially for you with your favouri..
A Paw Prints on My Heart Photo Clock makes a perfect keepsake for any pet owner, we can use any favo.. 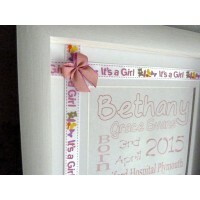 This stunning Mums are like buttons frame keepsake is a chunky, solid wood, white frame, it has an 8.. 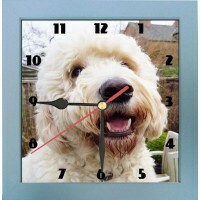 This gorgeous personalised photo clock is made especially for families with your photos in this pers..